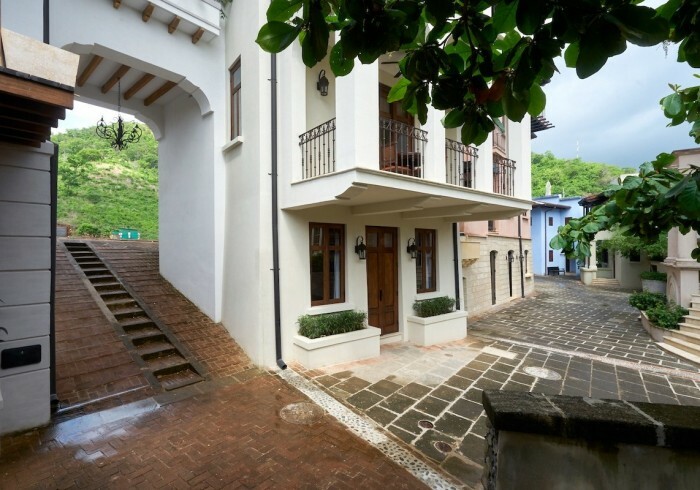 11 Calle la Ronda is perfectly sized home strategically located in the heart of the town with great access to the Danta Beach, Limonada Restaurant as well as Plaza Central. This quaint home has two master suites. One of the bedrooms is located on the ground level with a private entrance for more independence and a small kitchenette. This bedroom has a queen bed, AC, ceiling fans and a full bathroom. The master bedroom located on the third floor has a queen bed and a private terrace with ocean views. The bedroom has AC, ceiling fans and a full bathroom as well. On the second level you will find the main level area with a kitchen and living room, they both share the same space allowing a comfortable setting with your family or friends. Enjoy your meals at the terrace overlooking Las Catalinas town.